Are you an RCS taxpayer?? | Reclaim Respect for RCS! Are you an RCS taxpayer?? “According to an article that ran in the Times Union on Tuesday, December 4, 2012, a petition has already been filed, “alleging that (Rodney) Krzykowski has “deliberately” refused to pay his school tax bill for more than a decade, making him unsuitable for his role on the board. The petition alleges that Krzykowski owes $56,225 in delinquent property and school taxes dating back to 2001, and $51,011 in unpaid state taxes dating to 1997. “What’s at issue here is the board member’s responsibility under the law to pay his school taxes just like every resident,” said NYSUT spokesman Carl Korn. Tell NYSED, your superintendent, RCS and the current board members how you feel! The petition has already been filed. It is now up to community members to contact NYS Education Commissioner, Dr. John King, as he is the person who will ultimately decide whether Mr. Krzykowski is removed or allowed to remain on the RCS BOE. The below is an article from the Albany Times Union. ALBANY — Ravena-Coeymans-Selkirk Teachers Association President Matt Miller and an unnamed resident have filed a petition with the state Education Department to remove RCS Board of Education member and self-proclaimed “sovereign citizen” Rodney Krzykowski from the board. On Friday, Miller and a petitioner identified as “A.B.,” with the backing of the New York State United Teachers union, filed a petition alleging that Krzykowski has “deliberately” refused to pay his school tax bill for more than a decade, making him unsuitable for his role on the board. Korn said it is extremely rare for NYSUT or private citizens to file such a suit. “Thankfully, 99.9 percent of board members are law-abiding citizens and petitions of this sort are not necessary,” he said. Krzykowski was elected to the board in May 2011 and sits on the board’s finance committee. Krzykowski, 72, unsuccessfully ran for the board twice before winning election. 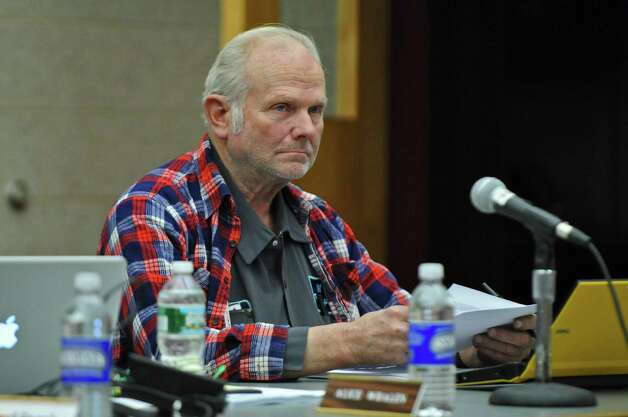 The petition says that at a Nov. 6 board meeting, Krzykowski admitted that he had not paid his school taxes for the previous year or any years prior for which he owed back taxes. In several court documents, Krzykowski has often defined himself as a “sovereign citizen.” The FBI describes such individuals as anti-government extremists who believe that even though they are in the country they are separate or “sovereign” from the United States. The petition also alleges that at the same time that Krzykowski has refused to pay his own taxes, he voted, last April, for a 6.8 percent tax levy imposed on all members of the RCS School District. It says that though Krzykowski considers himself a sovereign citizen, he has never abstained from casting votes affecting tax levies. The RCS School District and Board of Education were also named as respondents in the petition, though no allegations are made against either. Alan R. McCartney, interim superintendent for the district, said the suit really didn’t have anything to do with the district or the board. He said the district would attempt to move forward “as normally as possible” while a decision is made on the case. New York State Education Commissioner John King will eventually decide to either remove Krzykowski from the board or allow him to remain. Krzykowski runs a tire-recovery business, RAK Tire, on the property of his Ravena home, according to his home voicemail message and documents filed with the state Department of Environmental Conservation in 2010. He has been the subject of other charges – code violations alleging excessive garbage, weeds and inoperable or unregistered vehicles on his Route 143 property. The charges are expected to be dropped this month if Krzykowski continues to comply with demands to clean up his property. filed under Are you an RCS taxpayer?